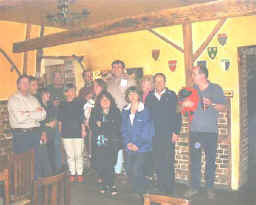 A friendly quiz competition was held at the White Horse in aid of the Copsale Hall maintenance fund. 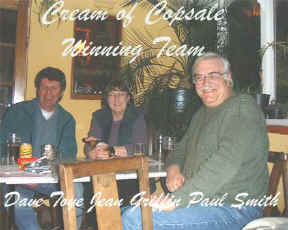 Around six or seven teams took part and the winning team - "The Cream of Copsale" were awarded a bottle of wine. This was a sterling effort as they only had 3 people in their team as opposed to some other teams which had 4. Simon McClean's team for example not only had 4 (including the landlord Simon) plus two dogs but they tried to bend the rules as to when they could play their joker. All to no avail, as skill and depth of useful knowledge proved to be the decisive factor. The quizmaster was David Fisher (Treasurer of Copsale Hall) who skillfully made the questions more difficult inline with the number of whiskeys he had drunk (more difficult to understand anyway) and we made around £12 for the hall funds - not a lot - but everyone had a good time.